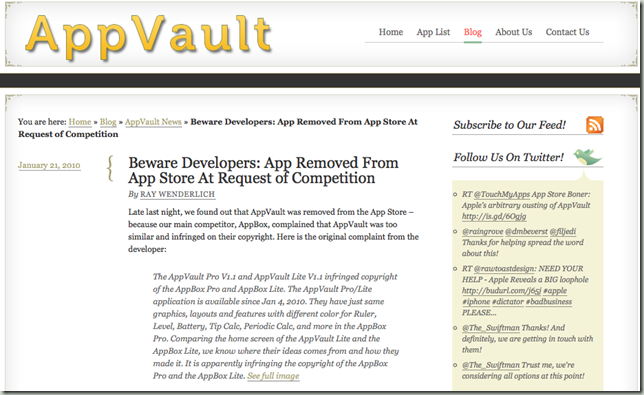 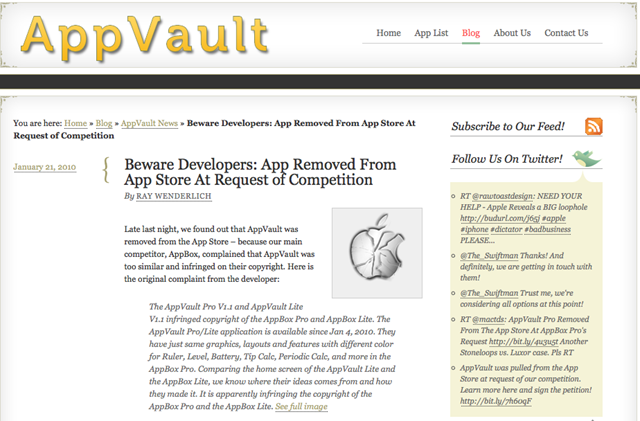 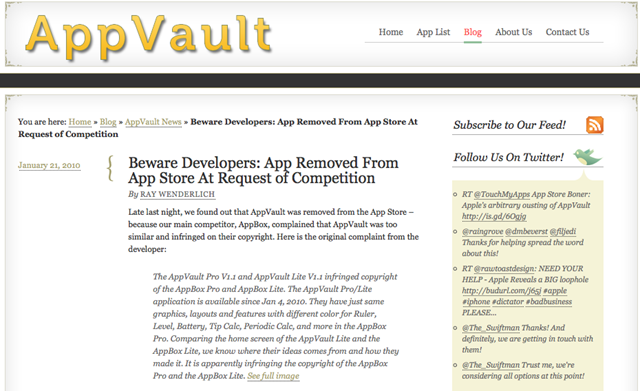 Hey AppVault! 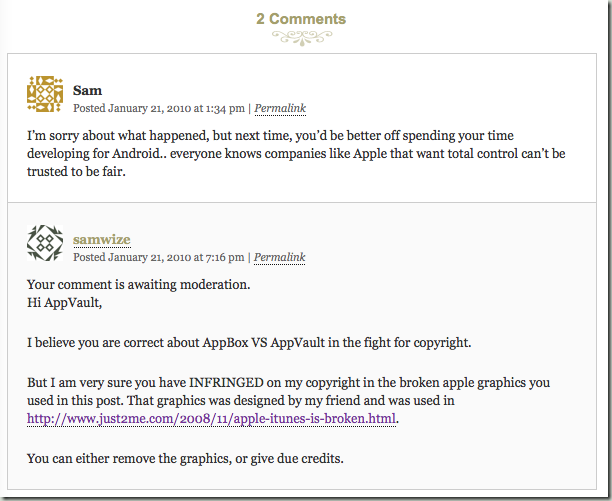 You copied my Broken Apple graphics! 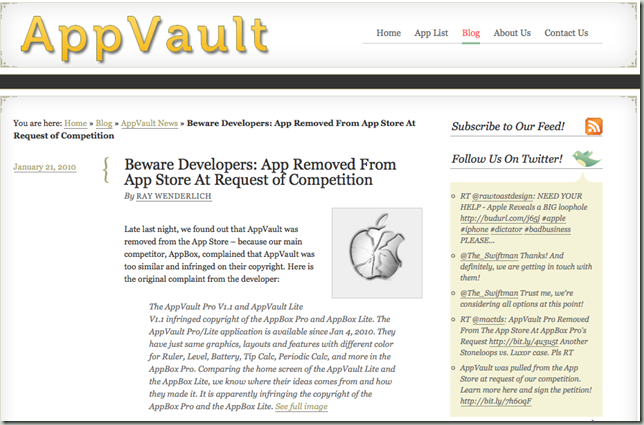 Hmmm.. they took away MY BROKEN APPLE graphics! 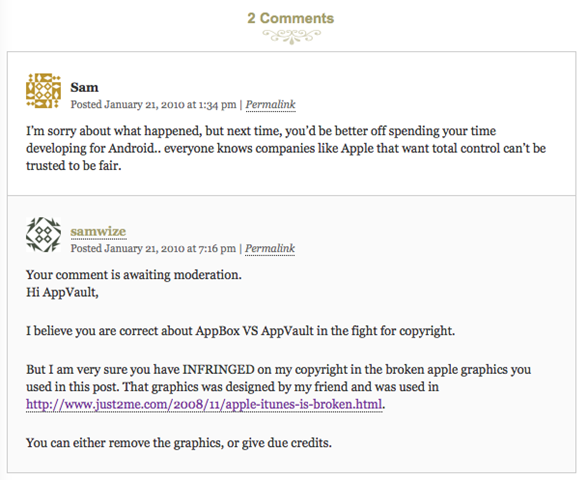 I am fine with you infringing my copyright, just give me due credits, can?